This is a picture from this morning’s visit. This is Isabel dressed with so many layers that her arms cannot physically be put down. Underneath her snowsuit is a velour sleeper that has a hood and under the snowsuit hood and the sleeper hood are TWO more hats. Under the velour sleeper are two pairs of pants and two shirts and two pairs of socks. Just after this picture was taken, a nurse tsk tsk’d me and brought out a wool blanket. She was like a little package, all firm and bundled up. We got her inside and took off maybe two layers and she still had a little sweaty brow. The time with her just flies by. I kissed her cheeks and played peek a boo with her the whole time. She had just had a bottle when we got there and so she was all happy and cooing. Just as our time with her was ending, she zonked out. Pictures don’t do full justice as to how darling she is. She takes everything in when we go to a new room. She has to look around at everything. It is getting much harder to leave every day. Today I felt shattered on the drive back to Bishkek from Tokmok. She is well taken care of and she is safe and loved and as you can see she will never be cold, but to leave her….it breaks my heart. We are noticing a little extra plump in her cheeks and so the new formula must be helping. Art and Zannie played with some of the older kids and they had a ball in with them. Art gets down on the floor and plays with the toy cars and today there were even balloons that were twisted into shapes for the kids. Zannie met a friend and they said that the two girls can play together every day. We are bringing the kids fresh fruit tomorrow which we are told is a big treat. I couldn’t figure out how to rotate it, but who cares? This was Isabel this morning after her bottle. Those eyes! We met with her for about an hour and then met with the director of the orphanage and went through all her medical records and how much of the new formula to give her. We have to put some weight on her and so she’s going to start getting higher calorie stuff per doctor’s Rx. We came back to our room and rested a bit and then went exploring and walking all over Bishkek. We walked through the center where there is a long park. We were trying to find a specific place that we read about that sells traditional Kyrgyz felt and other ethnic crafts. We weren’t sucessful in finding it, but we had a good look around. It’s people and the city are diverse and interesting. It truly is a meeting of so many cultures of the world in central Asia. Tonight I am going to try so hard to stay up later so that I’m not up again at 3 am. Tomorrow is our third day with Isabel. 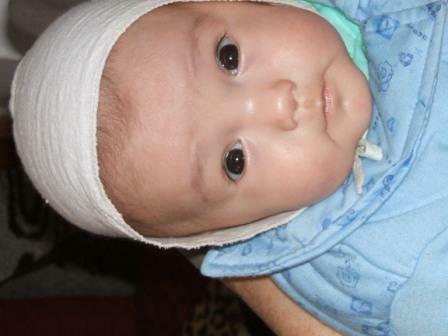 We’re going to bring her diapers as this is a cost that is hard on the orphanage. We are loving the food here. Zannie has her ‘chuchvara’ every day which is strong chicken broth with chicken dumplings. Everything is seasoned so nicely. I shall go to sleep tonight wondering what our girl is doing and trying to not count the days until she comes home with us. San Francisco. Los Angeles. Moscow. Bishkek.